The dietary supplements used in 3STEPDIET ® are part of the weight loss program not only to compensate for food restrictions, but also because they enhance weight loss, making it possible to achieve results safely and in a shorter period of time. The dietary supplements are essential, and are indicated based on the individual history of each client and each step of the program. 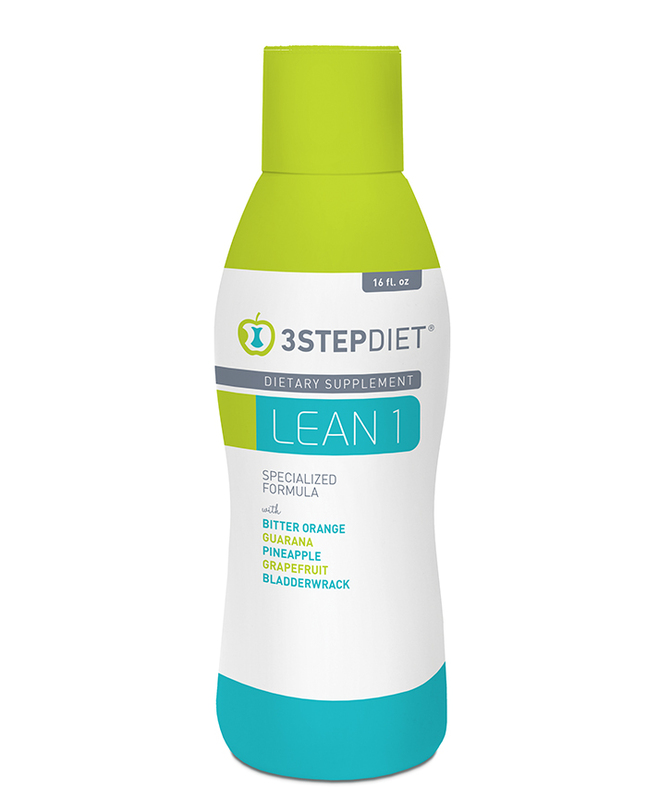 3STEPDIET® Program dietary supplements are beneficial and necessary for the success of the 3STEPDIET® weight loss program. The main function of these supplements is to eliminate water retention (through their diuretic action) which affects many people, especially women who are overweight or obese. They simultaneously help to eliminate toxins and burn localized fat. With SEAWEED, BITTER ORANGE, CENTELLA, GUARANA, PINEAPPLE, AND GRAPEFRUIT. It is a dietary supplement with an optimized formulation containing an active compound of plants, bioflavonoids, and potassium. Presentation form: hydrophilic extract 500ml. Dosage: Dilute 30ml in a 1.5 liter bottle of water and take, preferably between meals throughout the day. With GREEN TEA, L-CARNITINE, BROMELAIN, and HORSECHESTNUT. It is a dietary supplement that contains in its composition Green Tea, L-Carnitine, Bromelain, Horse Chestnut, Birch, Cherry, Blackcurrant, Dandelion, Meadowsweet, Vine, potassium, rutin and is also high in vitamins C and E.
Vitamin C is important for the normal formation of collagen which is necessary for the proper functioning of the blood vessels. A daily dose of 3STEPDIET® LEAN2 provides a significant amount of the recommended daily dose for Vitamin C to promote such benefits. A healthy liver is essential for long-term health and maintaining a healthy body weight. The liver is the main organ involved in fat burning and must be cleansed for it to operate at its best. When the liver is affected by unhealthy diet choices and clogged with pollutants and toxins, losing weight becomes more difficult. With SYLIMARIN,PHYLLANTINA, DANDELION, and BULB. 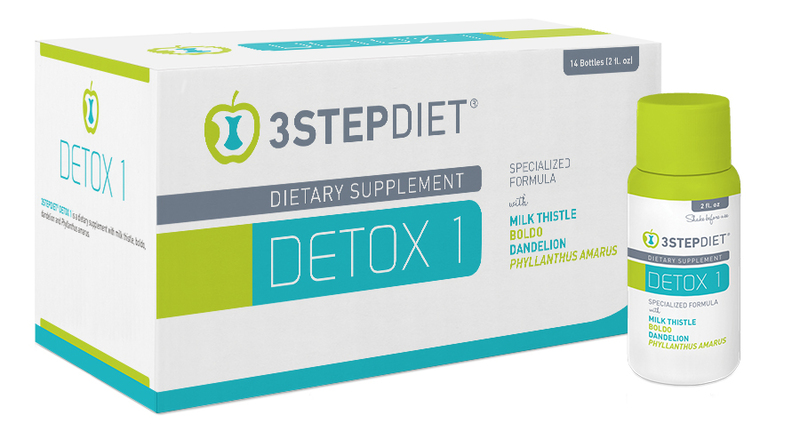 DETOX1 is a dietary supplement which includes a complex that contains a thistle extract with a minimum content of 1.5% silymarin, and a minimum of 5% of Phyllantina. Dosage: Take 2 bottles per day, one before breakfast and the other before dinner. With standardized Milk Thistle Extract of 80% Silymarin. Dosage: Take 2 capsules before breakfast and 2 before dinner. Vitamin and mineral supplements are fundamental, especially for those who have dietary restrictions, for example during a weight loss diet. Vitamins and minerals are essential nutrients that can be provided either by a varied, healthy, and balanced diet (which for many individuals is not accomplished by diet alone) or by dietary supplements that assist in compensating for an unbalanced diet. With OLIGOSACCHARIDES (FOS and GOS), standardized GINSENG extract, and a high content of VITAMINS and MINERALS. VITACTIV is a food supplement in a single daily dose with an optimized formulation with vitamins, minerals, oligosaccharides (FOS and GOS), and is reinforced with a standardized Ginseng extract with high concentration of ginsenosides. VITACTIV contains a high content of vitamins and minerals (such as copper, chromium, iron, iodine, magnesium, manganese, selenium and zinc). VITACTIV – Folic acid, niacin, riboflavin, pantothenic acid, vitamins B6, B12, C, iron and magnesium contribute to reducing exhaustion and fatigue. Immune system – Copper, iron, selenium, zinc, folic acid, and vitamins A, B12, B6, C, and D contribute to the normal functioning of the immune system. Dosage: Take 1 tablet daily, preferably in the morning, after breakfast. With OLIGOSACCHARIDES (FOS and GOS), and a high content of VITAMINS and MINERALS. VITAMIN is a food supplement in a single daily dose with an optimized formulation of vitamins, minerals, and oligosaccharides (FOS and GOS). VITAMIN contains a high content of vitamins and minerals (copper, chromium, iron, iodine, manganese, selenium and zinc). VITAMIN – Folic acid, niacin, riboflavin, pantothenic acid, vitamins B6, B12, C, iron and magnesium contribute to reducing exhaustion and fatigue. This variety of 3STEPDIET® weight loss enhancer supplements helps to address the diversity of causes of excess weight, such as water retention, excessive consumption of fats and sugars, slow metabolism, and lack of exercise. Decreased appetite is also an effect of some of these supplements, which is particularly helpful for clients having difficulties with excess hunger. With GARCINIA Cambogia, L-Carnitine, CHROMIUM, and fiber. THERMO1 is a dietary supplement with a specialized formula of Garcinia cambogia, L-Carnitine, Chromium and fiber. Chromium contributes to the maintenance of normal glucose levels in the blood and normal metabolism of macronutrients. A daily dose of THERMO1 provides a significant amount of the daily value. Dosage: 2 tablets 30 minutes before lunch and before dinner. With CHROMIUM, GREEN TEA, HORSETAIL, centella. THERMO2 is a dietary supplement containing standardized extracts of Rhodiola rosea, green tea, Coleus forskohlii, and extracts of Centella, Horsetail, Ruscus aculeatus, and Cayenne pepper. THERMO2 also contains a high chromium content, a mineral that helps to maintain normal levels of blood glucose. A daily dose of THERMO2 provides a significant amount of the the daily value. Dosage: 2 tablets 15 minutes before lunch and before dinner. With CHITOSAN, cinnamon, FOS, and VITAMIN C.
BLOCKER is a dietary supplement whose specialized formula contains Chitosan, cinnamon, Vitamin C and fructooligosaccharides (FOS). 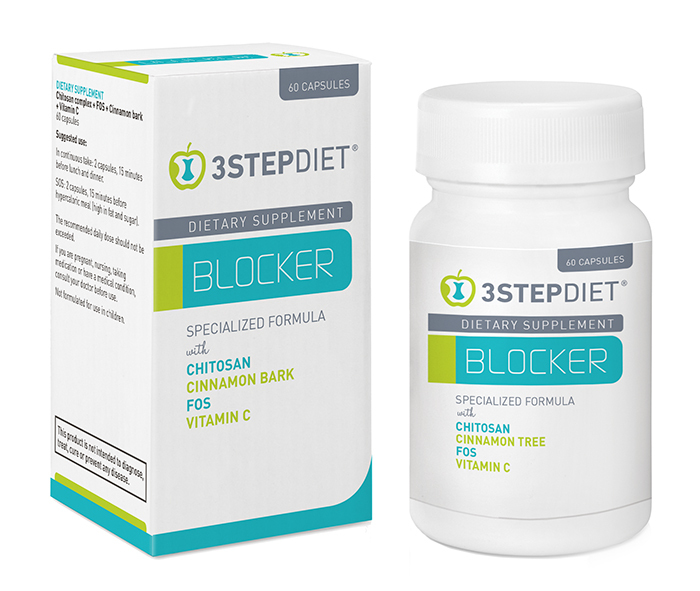 BLOCKER is ideal to be taken before high caloric meals. It is recommended to also increase fluid intake when taking Blocker (a minimum of 1.5 L / day). Dosage: 2 capsules before a hypercaloric meal (high in fat and sugar).